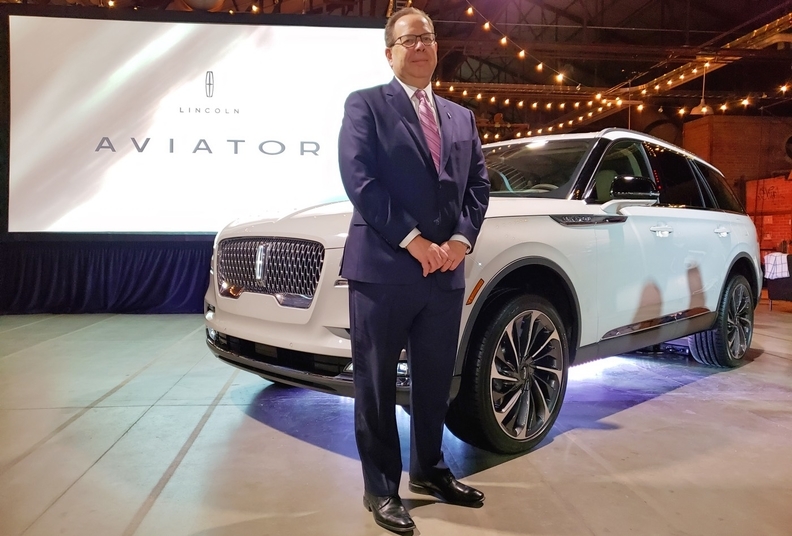 Lincoln Motor Company of Canada Director Terry Erb says Lincoln and the Aviator is trying to be "everything to a really select group of individuals." TORONTO — The Lincoln Aviator on Wednesday became the second vehicle to make its Canadian debut before the Canadian International AutoShow, which opens Feb. 15. The utility vehicle was unveiled at a private invitation-only event in Toronto. The Aviator was introduced by Erb along with a team of designers and engineers. With the brand’s full lineup in the background, a live classical quartet demonstrated the symphonic recordings that are used in the Aviator in place of alert chimes. Erb calls the event “experiential” of the Lincoln brand. “We didn't have to bring in a quartet … but we did because that's what our brand is growing into,” Erb said. “In Canada, the premium industry last year was about 13 per cent of the market, give or take. The people who buy premium products are very discerning, so you've got to speak to them that way. Aviator will have a twin-turbocharged 3.0-litre V6 engine with 400 hp and 400 lb.-ft. of torque, mated with a 10-speed automatic transmission and standard all-wheel drive. A Grand Touring options adds a hybrid system that increases that power to 450 hp and 600 lb.-ft. of torque. Pricing has not been announced and the brand has a policy of not providing sales projections. Erb said that the shift to recognizable nameplates from the MK naming scheme is helping Lincoln garner attention for its products. Erb said with the new products being offered by Lincoln in 2019 — including the Aviator, the Oakville, Ont.-built Nautilus (a new name that coincided with the mid-cycle refresh of the former MKX), the Navigator that was redesigned for 2018, and the newly refreshed MKC — the brand’s Canadian dealer network is in a unique position to use the new products to spark growth.